There are 2 billion active Android devices as per 2018 statistics. As being an Android user for quite a long, you know to install any app on your Android device. You need an account on Google Play. But sometimes, you might change your phone/switch to a tablet. At that time you might want to sign out of Google Play. 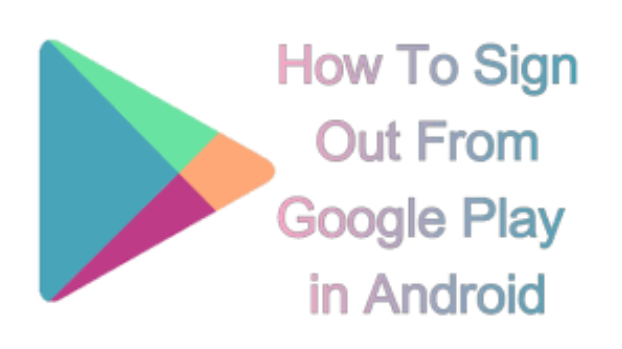 ...And in this tutorial, we will see how to sign out from Google play store in Android device. The world is moving towards Android devices and its popularity is increasing day by day. Recently, I was trying to log out of Google play on my tablet and I didn't find any option to sign out of Google Play. This makes me wonder, it won't be just my problem. A lot of people like me must be facing this issue. So, I decided to write a complete tutorial on how to sign out from Google play store. 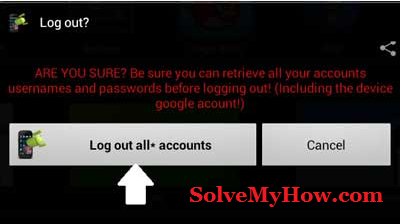 I have shared 2 methods below which will help you to log out from Google play. You can follow any method, both are working totally fine. Generally, you will not find any direct in Google play to sign out from your Android device. So, we will do that using Android setting. You can follow below mentioned steps to sign out of Google play using Android settings. 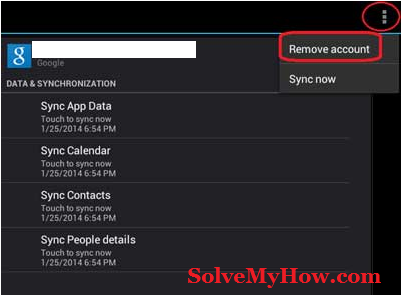 Step 1: Open "settings" on your Android device and go to "Accounts and Sync". Now tap on the account, you want to remove. Step 2: When you tap on your account. You will be entered into data and synchronization screen. Click on "Remove account" to sign out from Google play store successfully. This will remove your entire Gmail account from your phone. So you won't be able to log in to your Google play store account as well. This means this you have successfully signed out from Google play store. Now, Let us see Method 2. There are some Android apps also available to help to log put from Google play. This app is "Log out". Head over to Google Play and type "log out". You will find this app. Now, follow the below mentioned guide to install this app. Step 1: Go to Google play store and install "Log Out!". Step 2: After installing this app, you can open it and click on "Log out all accounts" button. As shown in the below screenshot. This will help you to sign out from all your Google accounts, you are accessing your Android phone. Note: This app is 3rd party app and may not work perfectly on all Android devices. So, I recommend you to use method 1. So, this was all about how to sign out of Google play on Android device. I hope you enjoyed reading this tutorial and learned this new technique to log out from Google play store. Both the methods worked fine for me and you can use either 1. You can also subscribe for SolveMyHow newsletter to get latest updates on Google, right into your inbox!